It's been half term this week. While the boys have been whizzing down snow-covered slopes in the French Alps, us girls have been home alone. It's been a much needed battery recharge. I think the first couple of months after Christmas are always hard work - it's dark when we get up in the mornings, the weather is cold and grotty, we're lacking Vitamin D, there seems to be a constant barrage of germs to fight off, we're tired, blah blah blah - so I think this has been a very welcome break indeed. We've had such a lovely time, my girl and me; we've been shopping, we've watched soppy films, we've cleansed our pores and painted our nails, we've been to the hairdressers, spent whole days in our pyjamas and we've eaten our favourite foods. I've had plenty of delicious opportunity to play in my craft room too. I seem to have amassed quite a bit of Debbie Bliss Baby Cashmerino over time so it's been promoted to a shelf of it's own, on my bookcase. Don't those colours make you want to squeak with pleasure? In fact, all those pretty colours sitting there together, inspired me to start work on some Spring stripes. I'm getting a lot of wear out of my coral ribbed wrist warmers but can't drive in them without my hands slipping all over the steering wheel. Do you remember my Posy Cosy? Well, I've made myself a pair of wristycuffs (see what I did there?!) using the same cross stitched design, in a lovely denim blue Baby Cashmerino. There's no thumb hole which frees up my hands, perfect for driving. I'm so thrilled with them. Since you and I last spoke, D and I celebrated our 16th wedding anniversary. He bought me some beautiful flowers. Aren't I lucky? I had exactly the same pale pink gerberas and roses in my wedding bouquet but, between you and me, *whispers* I think that was more luck than judgement on D's part! Have a truly lovely weekend, my friends. That's one good thing about this wet and cold winter weather, there's no excuse needed to cosy up and do lots of lovely girly things indoors! 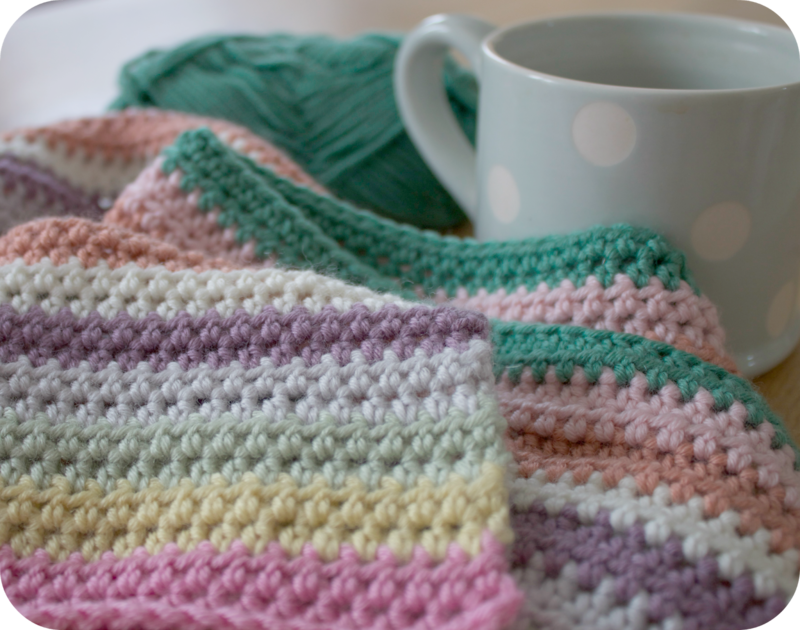 Sounds like you have had a great time with your daughter,and a bit of time to play around with some crochet - your yarns look so pretty together, and how could you not start another pretty project!? Loving the little gloves, clever idea. Oh I could do with a battery recharge. No girls here to pamper with, just stinky boys......and yes, why do they eat so much, where does it all go? Love your shelf of heaven, such gorgeous shades to stare at. 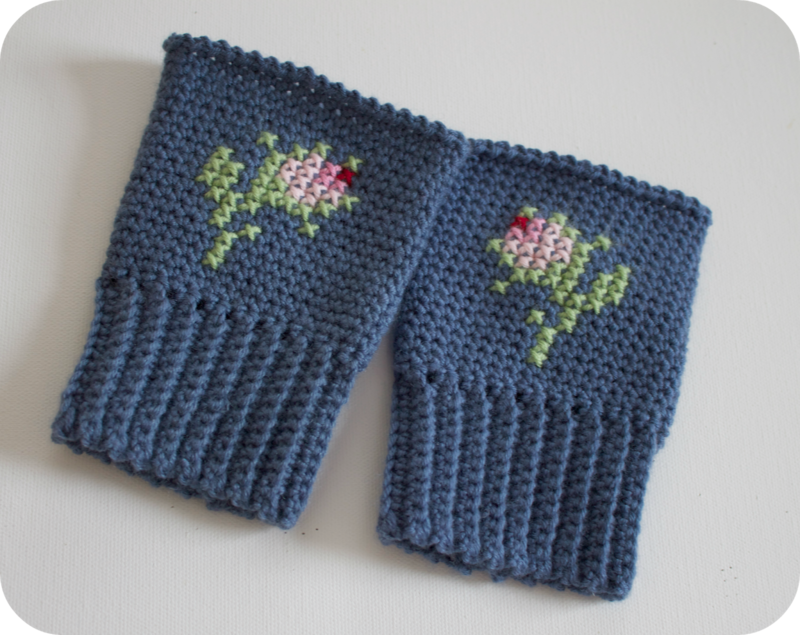 Loving your wristycuffs too, might have to knick that idea!It doesn't matter how many pairs of wrist warmers I have, I can never find a pair when I want them......so, obviously I need more! Glad you managed to have a lovely girly week. Oh I know exactly what you mean, this week has been such a welcome and relaxing break for us too, just what was needed and I've loved it. That shelf of yarn certainly is most cheering and delightful though, fantastic to have that to look at on these gloomy grey days! Love the wristycuffs too, so adorable! Missed you ! So glad you've had a heavenly girly week, there's nothing better. 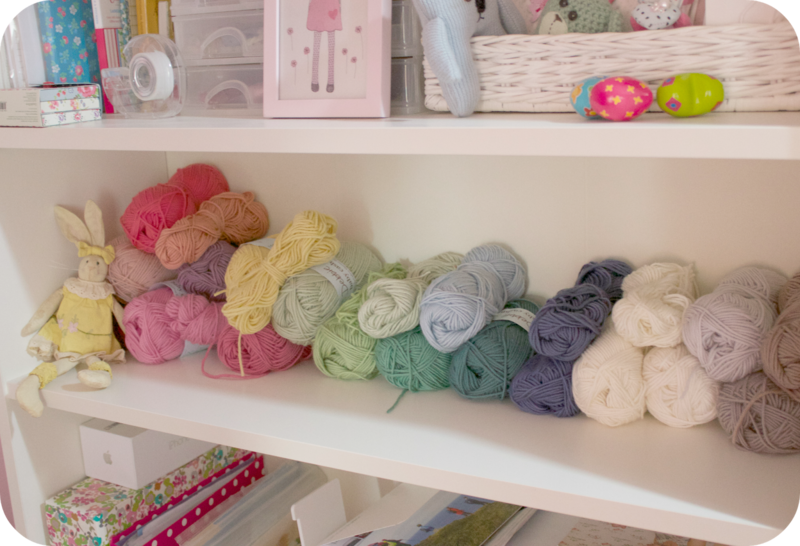 I love that you have a special wool shelf and I agree the colours look good enough to eat. That sounds like such a blissful week: I think I need to send my own boys away for a bit! Enjoy the rest of your 'time off' and playing with your beautiful yarn colours! 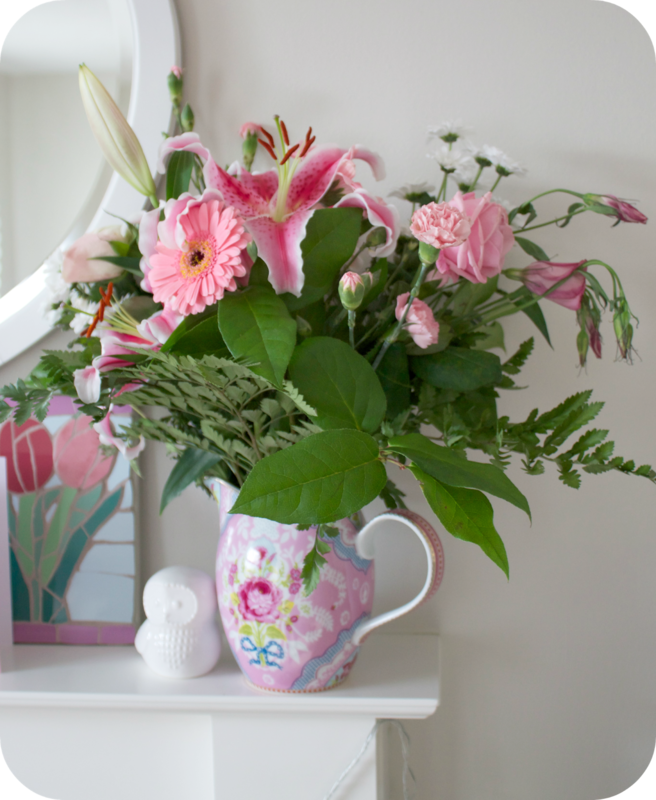 How absolutely wonderful your bouquet is and what a lovely thoughtful hubby 'remembering'! 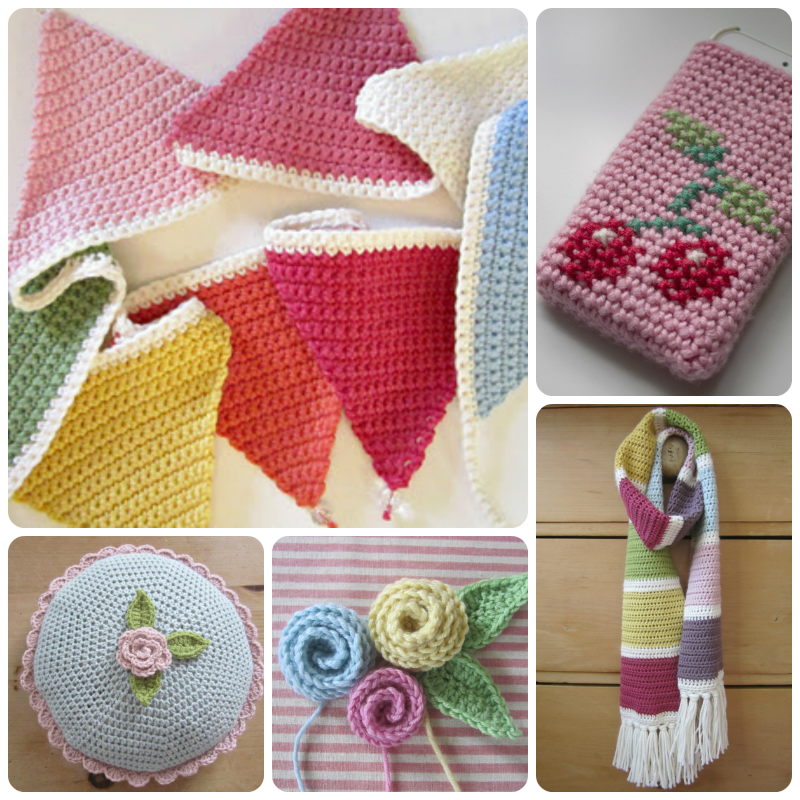 I just love those sorbet colours and am sure the blanket with be gorgeous. And of course you needed slipper flowers to match your leisurewear attire on your mother and daughter days. Hi Heather, sounds like a fab week. How lovely you have a girly to share such sweet moments with. Your crochet is all wonderfully pretty and your flowers are divine. Thanks for your lovely comment over at mine. 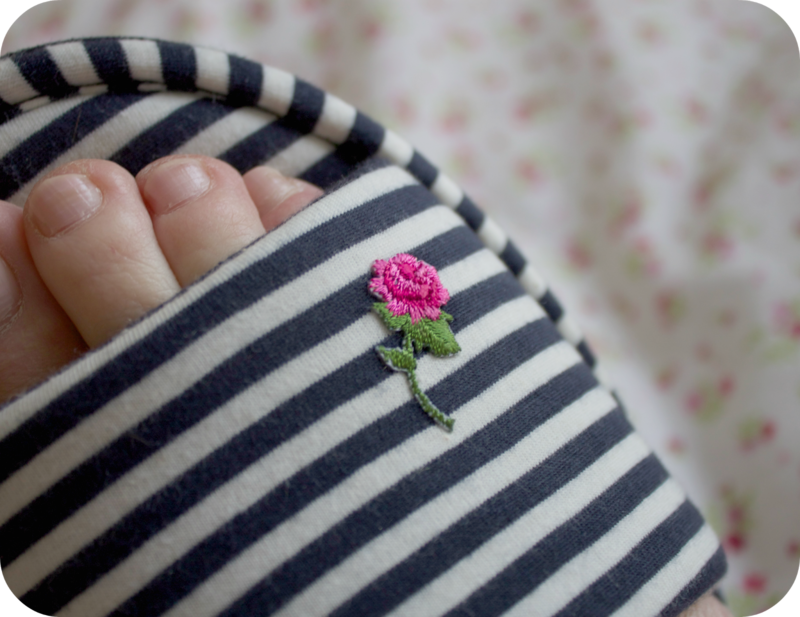 beautiful flowers and yarn and love that little flower on your slipper! Happy Anniversary!!! Beautiful spring colours, don't they make you feel instantly cheerful? What wonderful girly days you've been having with your daughter! 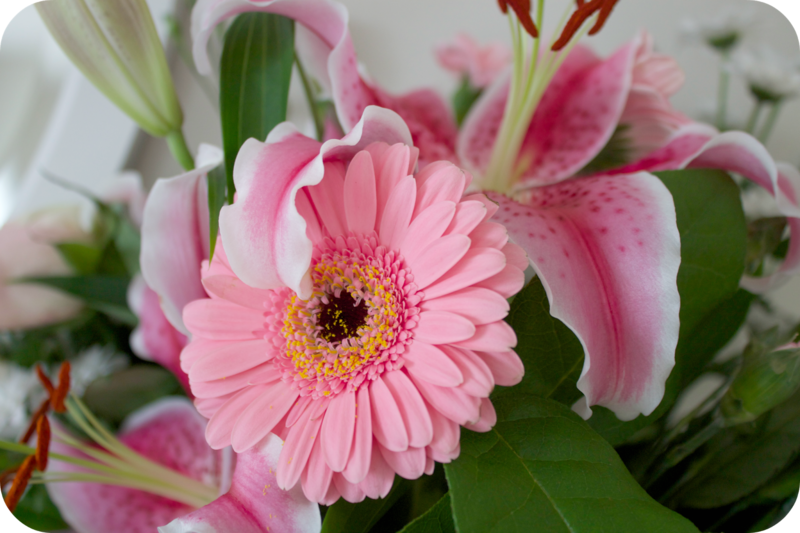 Such wonderful flowers for your wedding anniversary ... Ah romanticism still exists! Perfect! I love those new wrist warmers. Have a beautiful weekend. Beautiful, that sounds like a really wonderful week. Hi sweetie....Happy Anniversary to you and D!! I remember the day very well :) Glad you and C have had a lovely girly week, sounds idyllic, and I adore those beautiful yarns, such gorgeous colours. Fab 'wristycuffs' too, just perfect for driving. Happy anniversary ..... even if it was just luck they are mighty pretty flowers, what a lovely hubby! Another beautiful post to get me through our dreay New England weather (aka mud season). My daughter and I have a similar girls' weekend coming up in April. There's nothing like a week of girliness, it's so good for the soul. 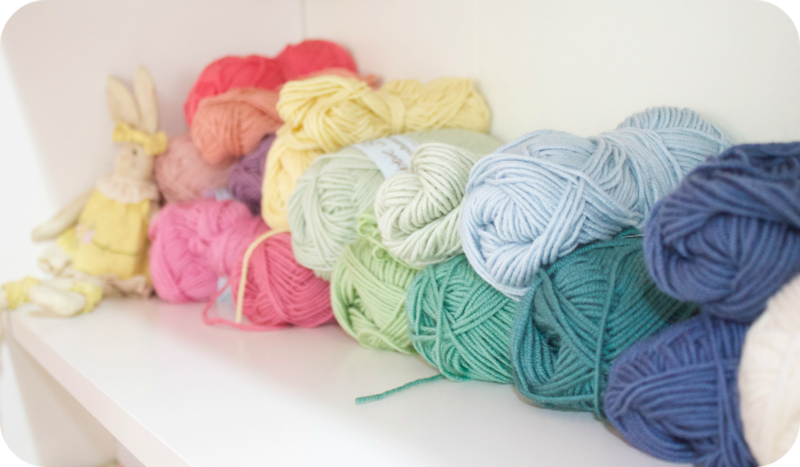 Lovely colours on the baby cashmerino shelf, looks like a project-in-waiting and the 'wristycuffs' are adorable. Congratulations on your 16th anniversary. Have a good week. Have a great rest of the week! I'm going to try to finish an essay and move onto the next! !